January is National Glaucoma Awareness Month and if you have a special senior in your life that you are helping care for, then it is important that you take the time to learn a little more about Glaucoma, it’s risks and some of the warning signs of this condition. Glaucoma can impact virtually any person at any time, and the chances of getting this condition only grow once adults reach the age of 50. 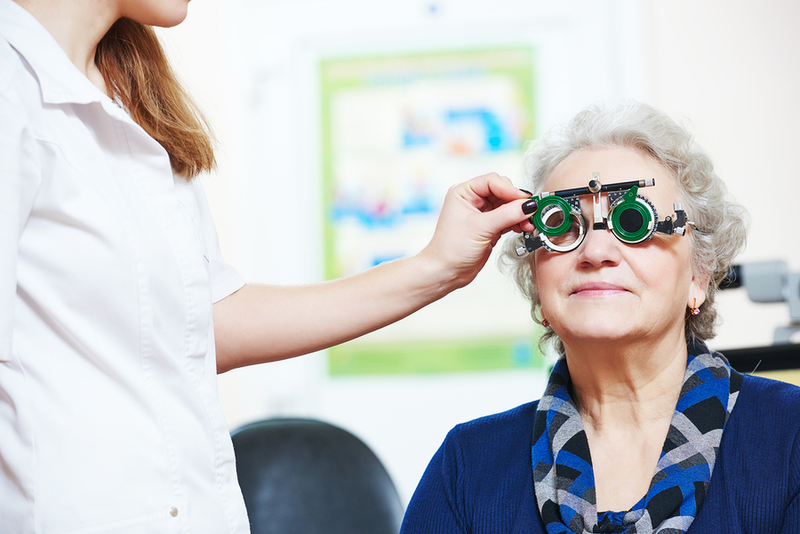 Glaucoma is extremely common among the senior community, and it is one of the leading causes of blindness among elderly adults in the United States. Simply put, glaucoma is a group of diseases that impact the optic nerve in the eye. It can cause permanent vision loss or even blindness. Although it is one of the most common eye conditions in the United States, it is also one of the most misunderstood, as there is no known cure for glaucoma yet. Isopen-Angle Glaucoma– The most common type of glaucoma. It is slow progressing and painless. Fromangle-Closure Glaucoma– This is an acute type of glaucoma that leads to very quick vision loss following an issue with high pressure and low blockage. Withopen-Angle Glaucoma– This type of glaucoma slowly impacts vision by causing “tunnel vision” and the deterioration of peripheral sight. Low-Tension or Normal Tension Glaucoma- This is difficult to detect but causes pressure within the eye from a lack of blood flow to the optic nerve. While these are the most common forms of glaucoma, there are also some rare types of glaucoma that can form in senior adults as well. Seniors should be getting an annual eye exam once they turn 55 to help spot issues with glaucoma from forming. During these exams, the doctor will test for ocular pressure in the eye using a simple and painless puff of air in the eye. Eye exams are the number one way to prevent vision loss from glaucoma. When detected early, many seniors are able to enjoy non-invasive treatments such as drops to help treat this condition. While there is no treatment to cure glaucoma, drops can often help lessen the severity and the rapid progression of glaucoma. Other medications may also be used to help treat glaucoma such as beta blockers, alpha-adrenergic agonists and carbonic anhydrase inhibitors. There are also some surgeries that can be used to help treat glaucoma in seniors, depending on the condition and their overall health.